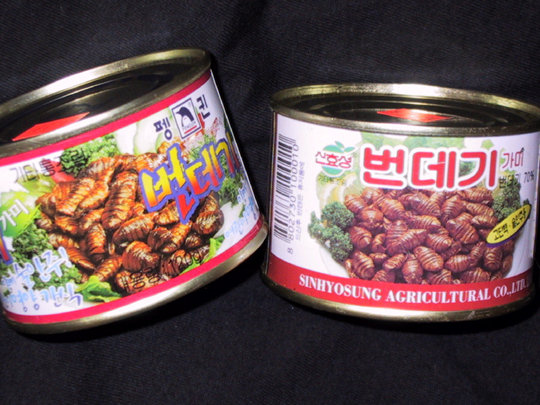 I finally got around to making a page of silkworm food. No, I haven’t tasted it, yet. I did try a single worm one time, out of the reeling bath; it tasted like a bug. When do you go PRO? Something that I’ve been thinking about, and would love some input on – when do you call yourself a “professional” with your avocations/hobbies? I was filling out entry blanks for a State Fair this morning, and I had to decide whether to enter in the “Adult (Amateur)” or the “Professional/Teacher” categories. I’m having some internal conflict about how to decide – am I a pro? A teacher? To help out, they’ve provided the following definitions: PROFESSIONAL: A person who engages in an event or activity for monetary profit (more than $2,000) per year: a person who teaches and/or instructs a particular craft or skill (i.e. sewing, baking, and so on). AMATEUR: A person who engages in an event or activity as a pastime, rather than a profession. In the latter sense, I’m definitely an amateur textile worker – I work full time in an office for a nonprofit facility, and get a salary with benefits, and I love my day job and wouldn’t want to give it up. Weaving is definitely something I do as a pastime, for enjoyment. I haven’t made any money actually selling my textile crafts, so I know I’m safe on that count. I’m not a professional weaver/spinner/silkworker, regardless of the level of sophistication I may achieve. If we figure price-of-goods-sold ($zero) minus price-of-yarn-and-books-purchased (don’t even want to add this up) then making money is sort of the opposite of what this pastime does for me. I like the fact that they put the dollar limit on it, so that you can differentiate between someone who sells a little on the side for pin money, and somebody who puts bread on the table with their weaving. I’ve won a couple of cash prizes by exhibiting my work, so far totalling the towering sum $175. I had a nice celebratory dinner and buy some books and yarn. Definitely not quitting my day job. The teaching is where I start to get into sticky territory. I’ve taught classes in weaving, and a couple of workshops in silkwork, and in one case actually got paid enough to cover more than just my gas for the trip. I’ve been featured as a speaker for a couple of guild meetings. I’ve published an article in a national glossy knitting magazine, and there are folks who use my wormspit.com website for classroom curriculum material. Despite all that, teaching is not something I do on a weekly or even monthly basis. All told, between the teaching, speaking, and writing, I haven’t made a thousand dollars, quite. I’d like to work this in such a way that it continues to give me a little extra cash for doing something that I love doing – but does it make me a professional teacher? I do my best to behave professionally in all my dealings, but I know that’s not the same thing. I ended up going with the Amateur category, partly because there was no pro category for handspinning (that tells you something right there, doesn’t it?) – and although they didn’t say so, I’m applying their dollar limit to the teaching aspect in my own mind. I’m interested to hear what others think about it; I know that several of you have dealt with similar situations in your arts/crafts/handwork. 0 0 Michael Michael2005-08-04 15:00:002005-08-04 15:00:00When do you go PRO?